Anderson, A. B. 1981. White-sand vegetation of Brazilian Amazonia. Biotropica 13(3): 199-210. Berry, P.E., O. Huber & B.K. Holst. 1995. Phytogeography of the Guayana Region. Pp. 170-192 In Steyermark, J.A., P.E. Berry & B.K. Holst (editors). Flora of the Venezuelan Guayana. Vol. 1: Introduction. Missouri Botanical Garden, St. Louis. Berry, P.E. & R. Riina. 2005. Insights into the diversity of the Pantepui flora and the biogeographic complexity of the Guayana Shield. Biol. Skr. 55: 145-167. Campbell, 1971.Guide to the geology of the Misahuallí Área, Ecuador. Privately published. Dinerstein, E.; D. M. Olson, D. J. Graham, A. L. Webster, S. A. Pimm , M. P. Bookbinder & G. Ledec. 1995. A conservation assessment of the terrestrial ecoregions of Latin America and the Caribbean. The World Bank/World Wildlife Fund, Washington, D.C.
Duivenvoorden, J.F. & J.M. Lips. 1995. A land ecological study of soils, vegetation and plant diversity in Colombian Amazonia. Tropenbos Series 12. The Tropenbos Foundation, Wageningen, Netherlands. Fundación Natura, Ministerio del Ambiente, CDC-Ecuador, & Fundación ArcoIris. 2000. Parque El Cóndor: Estudios y Propuesta. Fundación Natura, Quito, Ecuador. Givnish, T.J., T.M. Evans, M.L. Zhira, T.B. Patterson, P.E. Berry, & K.J. Sytsma. 2000. Molecular evolution, adaptive radiation, and geographic diversification in the amphiatlantic family Rapateaceae: Evidence from ndhF sequences and morphology. Evolution 54: 1915-1937. Gregory-Wodzicki, K.M. 2000. Uplift history of the central and northern Andes: A review. Geological Society of America Bulletin 112(7): 1091-1105. Huber, O. 1995. Geographical and physical features. Pp. 1-61 InSteyermark, J.A., P.E. Berry & B.K. Holst (editors). Flora of the Venzuelan Guayana. Vol. 1: Introduction. Missouri Botanical Garden, St. Louis. Kruckeberg, A.R. 2002. Geology and plant life: The effects of landforms and rock types on plants. University of Washington Press, Seattle. Malhi, Y., O. L. Phillips, J. Lloyd, T. Baker, J. Wright, S. Almeida, L Arroyo, T. Frederiksen, T. Grace, J. Higuchi, T. Killeen, W.F. Laurance, C. Leaño, S. Lewis. P. Meir, A. Monteagudo, D. Neill, P. Núñez Vargas, S.N. Panfil, S. Patiño, N. Pitman, S. Quesada, C.A. Rudas-Ll., R. Salomao, S. Saleska, N. Silva, M. Silveira, W.G. Sombroek, R. Valencia, R. Vásquez Martínez, I.C.G. Viera & B. Vinceti. 2002. An international network to monitor the structure, composition and dynamics of Amazonian forests (RAINFOR). Journal of Vegetation Science 13: 439-450. Neill, D.A. 1999. Introduction: Geography, Geology, Paleoclimates, Climates and Vegetation of Ecuador. Pp. 2-25 InP.M. Jorgensen & S. León-Yánez (editors). 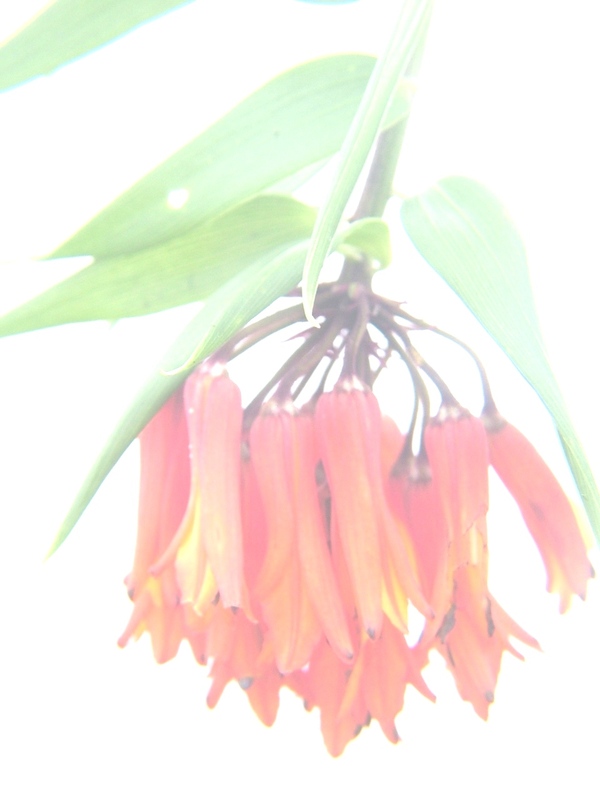 Catalogue of the Vascular Plants of Ecuador. Monogr. Syst. Bot. Missouri Bot. Gard. 75: 1-1181. Neill, D.A. 2005. Cordillera del Cóndor: Botanical treasures between the Andes and the Amazon. Plant Talk 41: 17-21. Organización Internacional de Maderas Tropicales, Fundación Natura y Conservación Internacional. 2005. Paz y Conservación Binacional en la Cordillera del Condor Ecuador-Perú. Pp. 1-179. Phillips, O. & J.S. Miller. 2002. Global patterns of plant diversity: Alwyn H. Gentry’s forest transect data set. Monogr. Syst. Bot. Missouri Bot. Gard. 89: 1-300. Pruski, J.F. & H. Beltrán. 2003. Stenopadus andicola (Compositae: Mutiseae): A new generic record for Peru. Compositae Newsletter 39: 2-12. Rogers, Z.S. 2002a. A new species of Weinmannia (Cunoniaceae: Cunonieae) from southern Ecuador. Novon 12: 249-252. Rogers, Z.S. 2002b. Two new species of Weinmannia (Cunoniaceae: Cunonieae) from southern Ecuador. Sida 20: 179-187. Rull, V. 2007. The Guayana Highlands: A promised (but threatened) land for ecological and evolutionary science. Biotropica 39(1): 31-34. Schulenberg, T.S. & K. Awbrey (editors). 1997. The Cordillera del Cóndor region of Ecuador and Peru: A biological assessment. RAP Working Papers 7: 1-231. Struwe, L., J.W. Kadereit, J. Klackenberg, S. Nilsson, M. Thriv, K.B. von Hagen, & V.A. Albert 2002. Systematics, character evolution, and biogeography of Gentianaceae, including a new tribal and subtribal classification. Pp. 21-309 InStruwe, L & V. Albert (editors). Gentianaceae: Systematics and Natural History. Cambridge University Press. Tuomisto, H., K. Rukolainen, R. Kalliola, A. Linna, W. Danjly & Z. Rodríguez. 1995. Dissecting Amazonian biodiversity. Science 269: 63-66. Ulloa U., C. & D.A..Neill. 2006. Phainantha shuariorum (Melastomataceae), una especie nueva de la Cordillera del Cóndor, Ecuador, disyunta de un género Guayanés. Novon 16 (2): 281-285. Vásquez, R. & O. Phillips. 2000. Allpahuayo: Floristics, structure and dynamics of a high diversity forest in Amazonian Peru. Annals of the Missouri Botanical Garden 87: 499-527.